In contrast to the pileated woodpecker, the downy woodpecker is the smallest woodpecker in North America. Named after its soft feathers down its back, the downy woodpecker is the most common woodpecker on the continent. Covering most of North America, the downy woodpecker is compact in size with black-and-white coloring and a chisel-tipped bill. Males have a small red patch on their heads, distinguishing them apart from females. The downy woodpecker has a high-pitched voice described as the whinnying call. Their call is called a ‘pik’, that starts high and then descends into the whinny. Like other woodpeckers, the downy drums against wood to claim their territory along with their mate. They prefer a deciduous woodland, settling along streams or forest edges and thrive in human-altered habitats, feeding on wood-boring beetle larvae and various insects, plants, nuts and seeds. The male and female have separate feeding areas, where the males mostly go high and female are lower to the ground. The downy woodpecker is unique in that its size allows it to feed in places where larger woodpeckers cannot. It can balance on slender branches and trunks, allowing it to have a range in territory. Mostly staying in lower elevation, the downy woodpecker has been recorded from just above sea level to 9,022 feet. 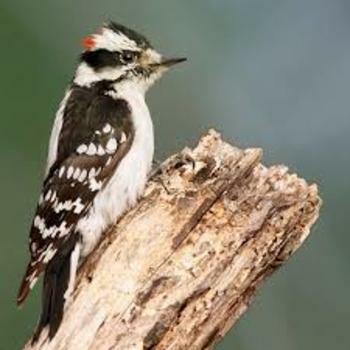 Learn more about the Downy woodpecker: with amazing Downy woodpecker videos, photos and facts. 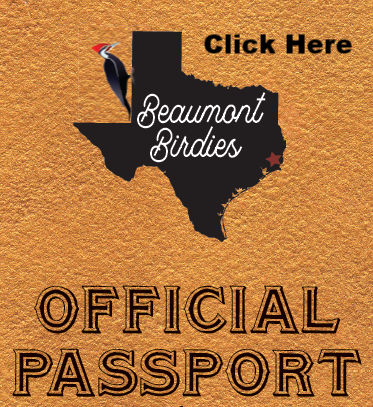 Beaumont Botanical Gardens is a 23 acre garden of ever-changing beauty located within the 500 acres of Tyrrell Park. 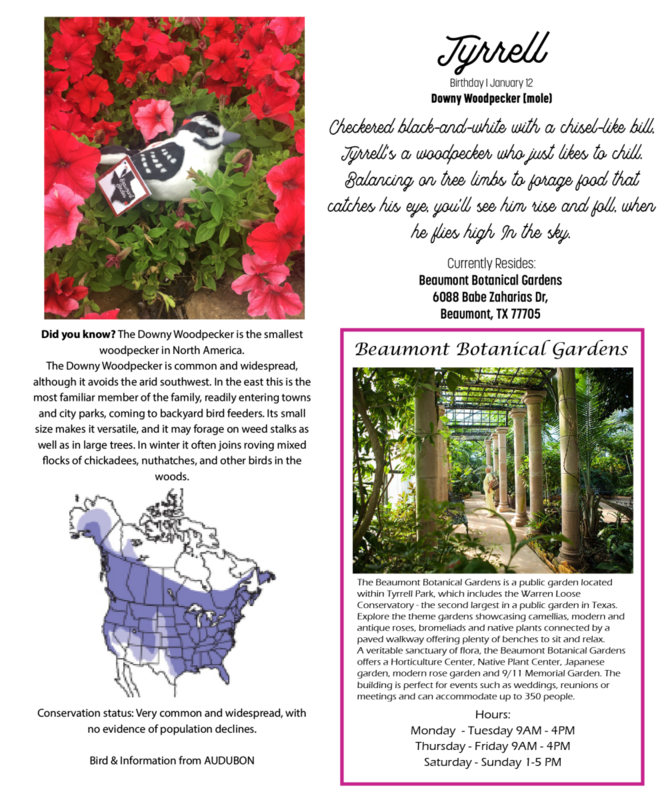 It is also home to the Bert and Jack Binks Horticultural Center and the Warren Loose Conservatory, the second largest conservatory in a public garden in Texas.